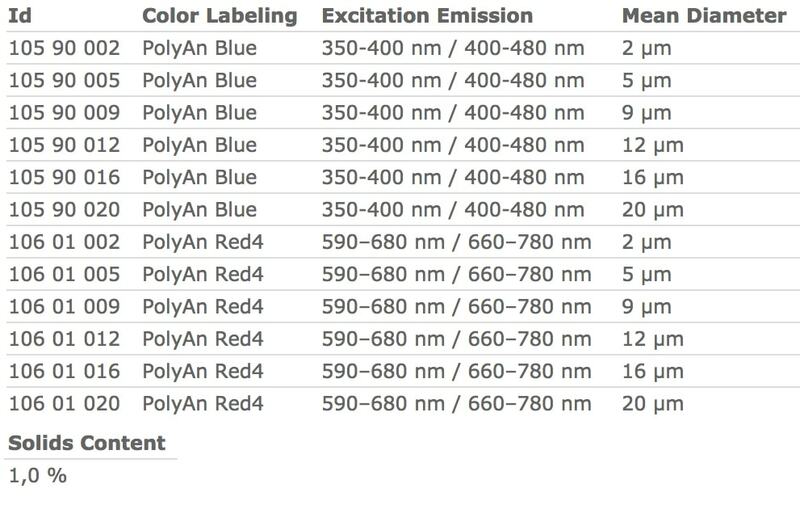 PolyAn offers a wide variety of functionalized, fluorescent particles. They can be used in flow cytometry, image based systems as well as in other imaging systems. 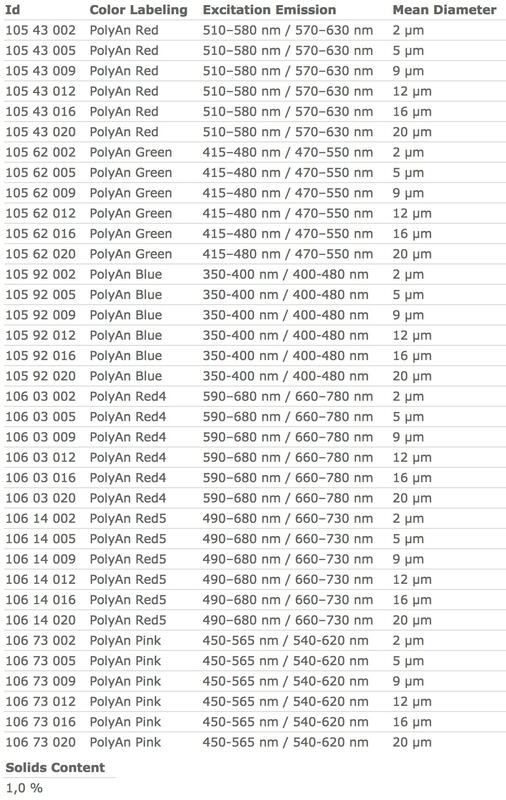 PolyAn also offers different multiplex bead sets for flow cytometry and fluorescence microscopes. The fluorescence intensity of the beads can be tailored to specific applications and read-out systems. 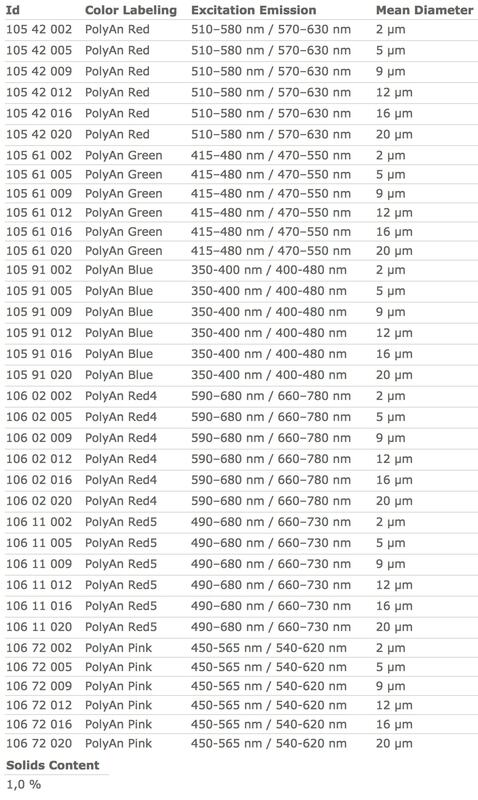 We are happy to help you select the right fluorescence intensity for your application. Customized coupling of biomolecules is available upon request. Please do not hesitate to contact us if you have a specific request! 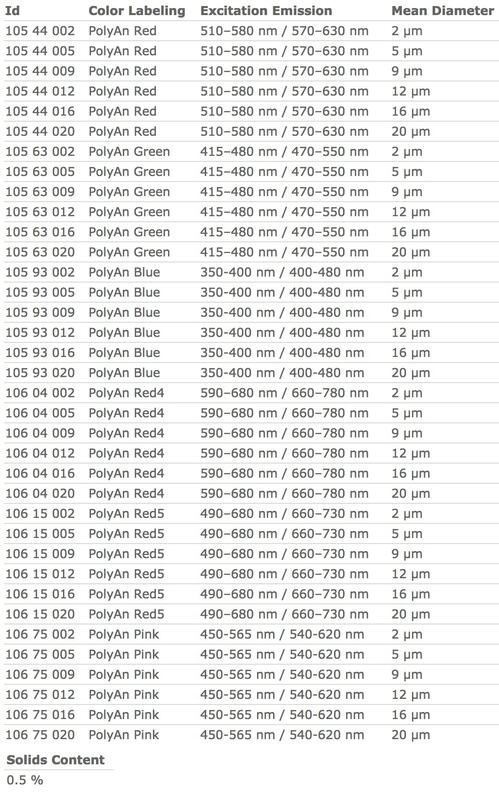 Please note, that PolyAn also produces customised microparticles which incorporate fluorophores for other spectral ranges. 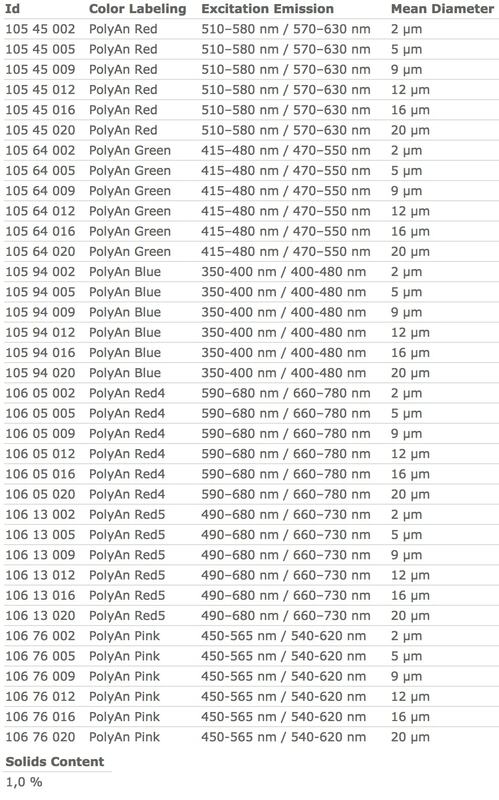 All beads are also available in sizes between 2-20µm. Please do not hesitate to contact us!